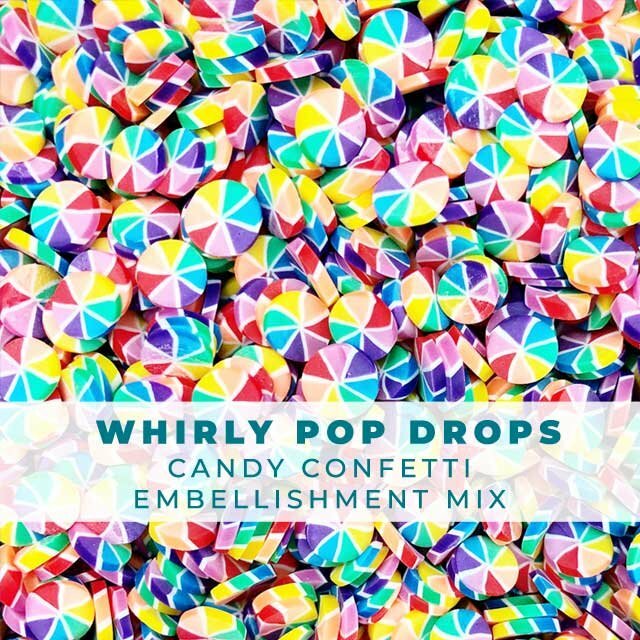 This fun rainbow disk Candy Confetti looks just like miniature hard candy! Made out of polymer clay, they are lightweight and easy to use. Simply adhere with your favorite adhesive. 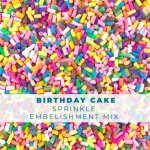 We also have sprinkles in several colors and shapes. 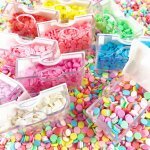 Try topping our Decorate-a-cake stamp set with these fun embellishments! 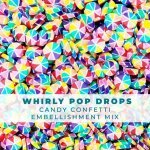 This rainbow candy confetti is so fun, we're sure it will be one of your favorite embellishments. Looking for something more seasonal? 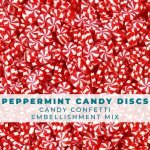 We have red and white peppermint candy confetti (and candy canes as well). 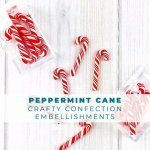 Check them out in our seasonal section of our embellishments.